Hello to you all, we have one brief update to share this evening. 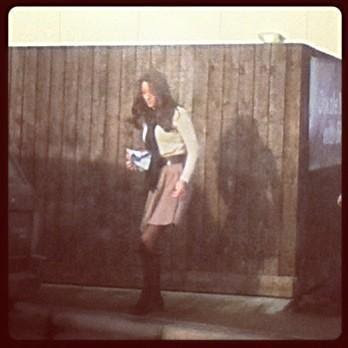 Duchess Kate was spotted in a Berkshire petrol station today by Jade Armitage who was travelling through when two land rovers pulled up and Kate stepped out. Jade very kindly shared a photo she took via Twitter. Jade described Kate as "beautiful". 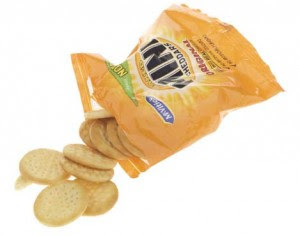 Kate bought a packet of Mini Cheddars, a brand of baked cheddar cheese biscuits, which have a granular crumbly texture unlike crackers. Mini Cheddars are a very popular snack, and perhaps the Duchess is craving the savoury snack? William and Kate are most likely spending New Years with the Middleton family at their home in Bucklebury, Berkshire as they did last year. It is also possible William is working in Anglesey at the moment as an RAF Search and Rescue pilot. The couple spent Christmas Day with the Middletons before travelling to Sandringham for Boxing Day where William participated in the annual shoot and Kate attended a picnic. The Duke and Duchess were notably absent from a Church Service at Sandringham today obviously because they had already departed the Queen's Norfolk residence. Kate wore a cream sweater quite possibly her Zara basic sweater which she wore during a visit to the Widehorizons Adventure Centre in June. The colour of Kate's sweater looks lighter but that could well be due to the quality of the photo which appears to have been taken from a distance. Kate also wore the sweater on a shopping trip to Peter Jones. 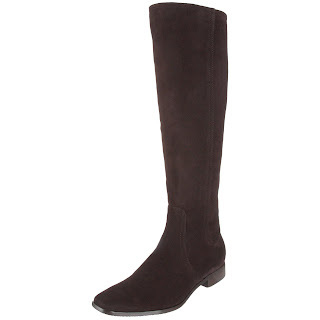 Kate teamed her sweater with a short skirt, brown belt, blue scarf and what appears to be her Russell and Bromley 'Charge It' black suede boots. Perhaps we will see Kate over New Years? If not wishing you and your loved ones a terrific New Year! Ha ha that must have been fun for you Jade! Eat healthy dear Kate!!! Another pleasant surprise. :o) I hope that every day is a better day for Kate, and that she feels wonderfully well throughout her pregnancy. Thanks for the breaking Kate news, Charlotte! A happy, healthy 2013 to everyone! Hi Charlotte I think I caught you in action!!! A very healthy happy and wonderful New Year to you!!!!! Thank you so much Sarah and the same to you! I don't know if it was you who mentioned Les Mis? but if any of you in the US have seen it let me know. I'm *dying* for it to come out over here. I am with you on that one, can't wait for Les Mis!! The trailers are spectacular! I saw Les Mis today. You must go see it. Sasha Baron Cohen and Helena Bonham Carter are a hoot. Wait till you see Father Christmas. I was surprised how little Anne Hathaway is in the movie. When I was pregnant with my first child, I often ate crackers in the first/second trimester, always having some in my purse. It's great for curbing sudden nausea or hunger quite quickly. CRACKERS REALLY DO HELP. Such excellent coverage. KATE LOOKS BEAUTIFUL AS ALWAYS. Hooray for you Charlotte! Another breaking news flash about Duchess Kate! She looks very well and still holding her cute petite figure! It is still early in her pregnancy but she does indeed look like she is doing better and btw, crackers like that are super for dealing with that queasey feeling! I used graham crackers or saltines with hot chocolate or tea! Thanks again for your journalistic labors and up to the minute information, photo's and of course the 2012 highlights of both Catherine and William! Your a gem and hope you and your fiance have a brilliant start to this New Year 2013! from today's twitter. I have read in so many places that Kate is stunningly beautiful in person, even more so than in photos, and she is beautiful in those. I personally believe that that has alot to do with her inner beauty shining through always. :) And, in regards to the pregnancy, crackers do help alleviate the queasiness one can get with pregnancy. Wow what a surprise. The Duchess is looking beautiful as always. It is nice to see her eating. I thought I read where the Duchess & William were flying to Scotland to spend the New Year with Charles. Then I thought I read somewhere a few weeks back about the time she was released from the hospital that the doctors do not want the Duchess to fly. So who knows where they will be. Hoping if they are with her parents maybe we can get a picture of them but then again William does not want photos taken of his Duchess. Let's just hope she is feeling better and maybe be able to returne to Wales with William. Thanks again Chralotte for the great update on the Duchess. I wish you & yours a very Happy New Year. Yes pauline because a photo with the middletons wouldn't be an invasion of their privacy. I am so happy to see Kate out an about and feeling better. Charlotte, I read an article earlier today that said a move was being made to make spouses to future monarchs Prince/princess consorts. This means Kate would never be Queen Catherine. I am so mad. Do you know anything about this? Well, it was in the Daily Mail so I should have suspected it was inaccurate. Thanks. I look forward to your blogging in the New Year. It is actually a logical attempt to remove one of the last bits of sexism from the monarchy. One proposed change (to eliminate sexism) is that the first-born, regardless of gender, would be the Heir and future monarch; girls = boys . You all seem keen and on-board about that. But what the current system basically says is that a King is more important than a Queen. Prince Philip was never made King, because King (man) is currently considered more important than Queen (woman). You want to keep a system that states women are not equal to men? This proposal, again quite logically, would state that the monarch is either titled "King" or "Queen" based upon gender (presented) and King and Queen would be considered EQUAL titles; spouse would be titled "Prince Consort" or "Princess Consort". It is simply a proposal to make the system treat men and women equally, just as they are looking at doing in the Netherlands regarding Maxima. I have no problem with promoting laws that strive to eliminate sexism and inequality. I completely agree. Everyone wants Kate to become queen but honestly I think gender equality is more important than that. The fact that King is considered more important than Queen is outrageous. I hope it changes as fast as possible. This is a nice surprise. :) I love Kate's casual look. She looks classy and sophisticated whether she stops to buy a snack or wears a ball gown. I always thought she had someone else do her hair in those big curls for events because it has to be a hassle to do, but here she is at a gas station and her hair looks flawless! Does she really do this everyday or does it last for days? I can't even keep my hair in proper form for a full day! Catherine is looking absolutely lovely! Thank you for taking the time to write us a delighful post, Charlotte! Well, I am glad to see she is feeling better... Pregnancy should be a joyful moment and she (like any other woman) deserves it! 2013 is on the way... Happy New Year! Hi Charlotte, with a few more hours to the close of 2012, I would like to wish each and everyone a great 2013 and may it be all you wished for!! Wow! I will admit this post made me laugh a bit. Can you imagine pumping gas or being inside the gas station when the Duchess of Cambridge happens to pop in for a quick snack? I think I might be too shocked to remember to snap a pic. WTG Jade! Thanks for the quick update Charlotte! I read Will and Kate would be at Birkhall in Scotland for the New Year, but maybe they are opting for low-key as the did at Christmas. Wherever they decide to ring in 2013, I am just praying that her health continues to improve and that she can enjoy her pregnancy. Thank you for such a quick updates. I look at your blog every day with a hope of some new photos and sure enough there is always something new! I've heard if you pregnant with girl you feel like sweets, and if you pregnant with a boy you feel like savoury or meat. The skirt is lovely! Does anybody know what brand it is? She looks so beautiful. I do think if Kate is well enough to drive, nip into a petrol station, go to church , she needs to get out and do some public appearances. Lots of women have terrible sickness all day long for the whole pregnancy and have to continue working/ bringing up a family!! I agree. I would also like to add that if you've had HG you're unlikely to be up and running by 3 weeks of having 'being diagnosed' with the disease. It's looking like what the Duchess had was just acute morning sickness, nothing close to HG. HG sufferers cannot tolerate even 5 min in a car or a plane. I know - I was one. We've been thinking the same - we know someone who had it and they were in hospital for most of the pregnancy and couldn't do these things at all. I wonder if Kate had the norovirus bug that's been going around instead but can't imagine that her doctors could miss diagnose something and she doesn't/hasn't looked 100% but I'm struggling to believe it's full HG, sorry. She actually did do a few royal engagements. Don't forget, how you are feeling can change day to day- or faster, she probably decides right when it is time to leave if she is well enough to handle whatever she needs to do. It is probably also easier for her to ride in the car and be able to stop whenever she needs than to have to go on a long drive, go on a schedule, and then have to arrive smiling and acting like she feel perfect when she really just wants to lie down! LOL!!! Acute morning sickness IS HG!!! Obviously people need to do some research on this disease. I'm thinking, hoping and praying this will be a future charity cause for the Duchess and just maybe people will have a better understanding of it and be more sympathetic for those who have it. I too have been thinking this would be a great charity cause for her to take up after she has the baby. I'm sorry but acute morning sickness is not HG. YOU need to do some research on the disease. Have you been pregnant ever ? Have you experienced morning sickness? People with morning sickness will throw up once or twice a day but feel normal at other times. Peopke with acute morning sickness feel horrible at certain times of their pregnancy but feel okay enough to get up and go about their day at other times. That is NOT HG. HG does not go away so quickly and sorry but it does not come and go or change day to day. It is an unrelenting feeling of wanting to throw up and feeling queasy day in and out with no relief. It makes you want to bury your face in the pillow from the minute you wake up to the minute you go to sleep. Most people cannot work or do anything productive during their pregnancy. They lie around. On the days that the sickness is less they get up and shower and eat some crackers. On the days it's worse they throw up any ounce of water they consume. You CANNOT get up and take a car ride on any day that you please. Nor can you stay in a pressurized air cabin for more than a few minutes without wanting to die. If HG were that easy to overcome people would not have to spend days and nights in hospitals. Well, let's remember that she has had one - yes, one - public engagement since leaving the hospital. She presented some awards for a total time of about 45 minutes. She did not look well, and reportedly her hands were shaking. Then she was seen buying mini cheddars (security was apparently driving, by the way) in Berkshire (perhaps on the way back to her parents). Sense a theme here? Other than the one 45 public engagement, Kate has been dressed in her 'casual' clothes and been out only for short periods of time in the company of people (household and security, BRF, her family) that she feels safe with and trusts. It is not for any of us to judge - merely by looking at photos - how well she is, or isn't - or what she could be doing, or not doing. Kate, her family and Will's family - are the only ones who can be trusted to adequately determine what is in her interest and the baby's interest, and they seem to be doing a very fine job of it. According to my best friend, a physician here in the states, HG is the medical term for ANY degree of morning sickness. The diagnosis of HG, however, is only used when hospitalization is required - as the formal term on the paperwork. Otherwise the eadily understood term "morning sickness" is used. Charlotte, thank you for your splendid posts -- I have thoroughly enjoyed them and the comments of this community. I wish you all a healthy and happy 2013! Nancy Louise -I'm from the US but I must say you are spot on (meaning right on the money) I'm trying to be British. It really tweeks me (makes me mad when people minimize another persons pain.) Thank you for a professional statement. Happy New Year! "I'm thinking, hoping and praying this will be a future charity cause for the Duchess"
I can see this going the way of the charity that enables impoverished children to experience the outdoors, their parents working 2-3 jobs to pay the bills so they cannot afford to take their children to parks much less the countryside. Kate shows up in $3000 worth of clothing and admonishes the impoverished children for watching television instead of being in the countryside, it is so much more fun! Then she jumps in a taxpayer-funded helicopter (Duchy = land stolen from taxpayers) and flits off to a polo match where she prances around and poses for the paps. So what exactly would she say to the 1 in 50 women who actually DO suffer from HG, rather than the norovirus Kate probably had? Women who work 60 HOURS a WEEK, 52 WEEKS a YEAR? "Oh, I know, that working 60 HOURS a YEAR is exhausting, isn't it? And I threw up once, so I totally understand what you're going through. You should do what I did; right after the pregnancy was announced, I stopped working at all and just sat on the beach for an entire year. That's right; I had the palace announce that I would do absolutely no public engagements or events for my FOUR exhausting charities for an entire year. You should totally do that too!" Glad to see that you realize the only way to get this disappointment to work is to fall to your knees and pray for divine intervention. In the beggining of a New Year I don't think it is quite healthy for you to be so judgemental and nasty towards someone, I guess, you've never met. It amazes me how angry and bitter your words sound. We don't know what is going on with Catherine... Since she left the hospital, we haven't seen her that much, and most of the times she was looking quite fragile and ill. As far as I remember, the Palace never claimed the Duchess had HG. The press started the hole thing... And even if she has HG, she is not forbidden to leave her home sometimes. And, maybe the medication she has been taking is working, and she is feeling better. When you are ill, you usually feel bad... And it can be even worse if lots of people are not believing your are sick and not just being spoiled. Just because she is lucky enough to be pretty, rich, smart and married to a real and Royal Prince doesn't mean she is immune to diseases. Charlotte, I wish you a very happy new year 2013! Best wishes to you and the yours! I can see a little bit of a bump! So cute! Hi little Royal Baby!!! Charlotte, Thank you for such a lovely blog, I love it and appreciate that you must put a lot of time and effort into it. I love that skirt! It is cute and flirty--her relaxed style is perfect. wish there had been a few more photos. :( Happy New Year, Charlotte!! It's so pretty and youthful. I've always loved Kate's 'off duty' style. Maybe it's just the quality but to me the woman in that picture doesn't look like Kate at all - the hair is right but I guess I feel like the face looks like someone else. Is that silly? Or could there actually have been a mistake? I feel like Kate has been wearing more comfortable clothes than this skirt recently, but I am certainly not the expert. To Charlotte and all Duchess Kate readers, to William Kate and the precious one to come. A very happy healthy peaceful enjoyable rewarding fullfilling calm satisfying etc .... New Year to you all !!!!!!! To Queen Elizabeth you truely are a jewel in the crown of life! I wondered too. The clothing looks very Kate. The scarf, the tights, and the little skirt aren't what most folks wear for a petrol stop and the hair looks authentic too. Much more brushed than the way it was at church but Kate would presumably be coming from Sandringham and might be smarted up for that reason. The pictures are so blurry it's hard to tell about the face;it looks pretty similar to the photo from Peter Jones which has a similar expression but that Alison comic blog, shows how easy it is to mimic Kate. Caveat emptor! Kate Clones running around Berkshire? It's all a bit odd, doing that long drive up to Sandringham for just a day or so when she's supposedly been very ill. Agree with those who doubt it's really H.G. Person I know who had that would try to go to work (unlike Kate, she had no choice) but couldn't even look at food on her better medicated days, let alone go and eat two meals publicly. Driving was a huge trigger too. Wonder if wasn't just a bad initial bout of morning sickness and royal physicians jumped to conclusions. Happy New Year. I really enjoy this site. Keep up the good work. Kate seems to be improving and that is wonderful. Since when does working for you parents not considered a job. I'm sure she got paid for working for them, etc. It is considered a job here in the US if you work for your parents. She is a military wife and that is a job. By you saying she sits at home How do you know that. You saying that really demeans what a military wife should be. Happy New Year, Charlotte ! And to all of you "Duchess Kate" readers, I wish a prosperous, exciting, inspiring 2013 ! I am sure we can safely leave the diagnosis of the Duchess's condition to the two eminent obstetricians who have her in their care and doubtless will advise on what she should do. Diagnosing from a distance is obviously satisfying to those doing it, but of little use to the sufferer. Sarah Davis - If there is one thing that totally makes me ire is that fact that the media portrayed Kate as lazy and with no work ethic. Yes, working for her parents is a job. Any job that you get paid for is a job. Her parents have a business so anyone who works for them should be paid regardless if she is their daughter. Put yourself in Kate's shoes. She how you would do in her position and being constantly scrutinized within an inch her life. Yes, then the excuse from everyone is that she knew what she was getting herself into. She is human and does have feelings. Plus, Kate is not considered a full time working royal, she is a military wife. So please stop with the no work ethic mentality. I don't visit this blog very often and now I know why. People here do nothing but put the Catherine down for what they call "lack of work." Who are we to sit back and knock her for what we really don't do a damn thing about. I just read that Catherine made 122 engagements in 2012. Now to me that is alot for a person who is not a full time royal. Yes the Queen, Anne, Charles & Phillip did around 400 each. But that is their jobs per say. They are full time royals. And it was the Queen & William who said 18 months ago that Catherine was to be a military wife which I don't know what that means and to be eased into doing her charity work. So if you people who want to blame anyone on what you all call her lack of work, blame William & the Queen not Catherine. You also have to remember her life is not her's anymore. Charlotte you have a great blog here but I feel that the readers here need to move on from bashing Catherine for her what they call lack of work. This subject has been beaten into the ground enough. At one point a while back you made mention of this and did not post anymore comments regarding this subject. Can you do the same now? I agree with you but at the same time I appreciate Charlotte for giving room on her blog to critical voices. I also see Kate in a difficult position as the whole world not only watches but judges her every move. I have the feeling that Kate is afraid of making a mistake and so she trusts the Queen, Charles and William who set up her work schedule. If I was in Kate's position, I would do the same because she is so inexperienced regarding her life as a royal. Things went totally wrong with Diana who was thrown into her public duties without any proper training or protection at all. And as many have said before, Kate neither is a full-time royal nor is her husband the next successor to the throne, Prince Charles comes first, so there is no need to hurry for them. Still I do see the point that they are paid by the British taxpayers and many of them experience financial problems, like being unemployed or not earning enough to make up a living. So I think criticizing openly what strikes you is better than swallowing your anger. I like Charlotte’s blog so much, firstly for her sophisticated posts with a lot of background information but secondly for her ability and willingness to publish the opinion of Kate-critics whose attitude Charlotte does not share at all. In my eyes it is more interesting to share and exchange different views, as long as they are politely presented, than just admiring Kate for whatever she does. I for one have learned a great deal through reading critical views and think that this has broadened my horizon, so to say. And if others take the time to read my thoughts and reflect on them for a minute or so, my time spent on writing posts is not wasted. @Annie - I so agree with you 100%. The subject of her acute morning sickness also needs to be addressed. None of us are with her 24/7 so who are we to judge how she is coping with morning sickness. Charlotte, I know that you encourage constructive discussion but it gets out of hand to the point that it's disrespectful to Duchess Kate and the Royals. They're have been some hateful comments which I have not published but if any got through without me noticing. Don't hesitate to let me know. I do encourage debate once it's respectful. I would have had a lot more respect for her as a military wife if she had joined the officers wives club at Anglesey. It was said she was going to, and she has not. Bluhare, again this is all speculation that Kate did not join the offices wives club. How do we know she didn't. I heard this as well, but it was coming from tabloid journalist, which is not fact. We will never know the truth. But to say that over something a person reads or hears on the news is definitely not grounds to have disrepect for. There has to be a reason for her not to join. But don't put her down because she did not join the womens club. Anonymous 22:51 and Annie: Tto say that something I hear or see on the news is not grounds to have disrespect for something/one is, well, it isn't right. How else do we get our news about Kate? Through blogs/tabs/papers. I can form an opinion from what I read just as you can. And from being all excited and happy about her new life, I'm getting more and more disillusioned. I thought she was better than this. Having suffered from HG I too will trust Kate and her doctors to do what is best for her and the baby. I was lucky in that I didn't have to work, but to be honest I wouldn't have been able to. I can't imagine a job where spending so much of your day throwing up would be allowed. Riding in a car was very hard and I either did in the backseat, prone, or with my eyes shut in the front seat, but always with a receptacle "just in case". Yes, the Queen has many, many engagements, but as has been discussed, the Queen is a very special lady and very few can meet her lofty status. I've wondered too, if William encourages Kate to keep things to a minimum? I understand it is her job, but I can see why the Prince would like to keep Kate out of the limelight when possible. and I don't think of their comments about the press as whining. I do like Kate and this blog is amazing. These two things are a reason enough for me follow this blog and Kate. However I do feel that Kate could do more. 122 engagements in a year sounds like alot but in reality it's not. I looked up her 2012 engagements from the court circular at the British monarchy's official website. Based on that she did less than 50 individual engagents. That is when you count the Olympics as one and the overseas tour as one engagement. I want to wish all the best to Charlotte for the new year:) I do think it's amazing how feel passioned and are dedicated you are to this blog. It certainly isn't a lot when you consider the 90+ year old Duke of Edinburgh did over 300, despite being hospitalized twice. Paula, I quite agree. If one even looks at the schedule for Prince Philip - who's 92 and in much more delicate health (given his recent hospitalizations and his age), he does many more engagements as do Princess Anne (who's far down the list of succession! ), the Earl and Countess of Wessex, and other royals. From what I've read - and I try to stay away from tabloids - Kate's lack of occupation and direction was a concern of the Queen's while she and William were dating. As for Kate being naive about what she was getting into as a royal living in the public eye, she dated William for more than 7 years before their marriage. She was part of the royal circle and certainly saw (and heard) and experienced the perks and the challenges that come with living in the public eye. She knew what she was getting into and she certainly had the opportunity to back out. I'm a Kate fan but I guess I look at the whole situation a bit more balanced than the "Kate-can-do-no-wrong" crowd. Charlotte looking forward to your new info. about some of the other royals. The talk about Kate's work or lack of has been somewhat wrung out. Can we hang it out to dry? At this point I think we are going in circles. Thank you Sarah, Have you had a chance to visit The Royal Digest yet? I do agree it's time to put this conversation to an end. Something I have asked several times but not a day goes by where I don't receive comments about the "lack of work". With the news some of our regular readers have decided to leave for that very reason it has caused the conversation to resurface. It's a subject that could be debated forever but none of us knows the facts behind it so I do feel it is pointless. For those of you interested in charitable work the royals are doing, I'm covering that on the other blog. Princess Charlene is doing some terrific work through her foundation which is focused on helping children. I really enjoyed reading about it personally. The conversation about William and Kate's charity work is only causing disagreements and friction. The official figures were released, Kate did 122 engagements and William did 95 in the last year. They're part time royals and until they become full time I cannot see it changing greatly. When they are full time royals I am sure we will see a vast increase in charitable work. Until then it's a conversation best put to rest. I am very happy to hear you are not going to post anymore post regarding the Duchess's supposely lack of work. I have really beem tired hearing about it. As you have said we do not what goes on. I quit commenting on it because everytime I did other readers had some nasty things to say. So now let's hope people will [ut this issue to bed. And that you do not post anymore comments regarding the subject. Oh my. Bless you Charlotte. You are very diplomatic and patient. :) Just wanted to say thank you once again for ALL your work and effort. You are greatly appreciated! Looking forward to reading about our lovely Kate in 2013! Charlotte, how wonderful would it be that if Kate and Will have a baby girl, that they name her Princess Charlotte :) I'm sure you have had many comments about that. Here's hoping that 2013 will be a wonderful time for Kate and Will and a time of great celebration for eveyone at a time of such great uncertainty in this world. Many good wishes to you to Charlotte in 2013. You have know idea what goes on in William and Catherine's life. We are not walking in their shoes being talked about and photographed all the time. I just want to wish them well and the new baby to come. As far as Catherine illness we do not know how she is feeling but she always has a smile on her face if she is feeling crappy or not. I agree how much she works is up to the palace enough said. You don't need to publish this comment, although I hope you will read it. I love your blog, am looking forward to the new one, and plan to keep reading, but I respectfully disagree with your intent to cease publishing comments relating to Kate's work. While no one expects you to publish profane or hostile comments, it's clear that many of us are deeply interested in Kate, believe she has tremendous potential and want to admire her, and yet are uneasy about how few engagements she has undertaken, while enjoying all the privileges that come with royal life. The only way the public can ever know what Kate does or doesn't do is by her public appearances; by her marriage, she embraced a public role and needs to live up to that. I'm sure I don't need to belabor the point, but she will never be an ordinary military wife; if she was, her life would be much more restricted and much less privileged. She (and William too) have already enjoyed an unprecedented amount of time by royal standards, clubbing, playing polo, shopping, taking holidays and so forth, in the past. I know I'm not alone in becoming a bit impatient about this. I recall many years ago, in a book published on the Prince and Princess of Wales and their trip to Australia, a photo of a secretary collecting clippings of articles about the couple. I think it is quite possible that a blog like this, which is respectful and receives comments from royal supporters, may be monitored by the palace. It's become apparent that concern about the limited amount of Kate's public work exists with a sizable group of followers. And this is from supporters of the royal family! The palace needs to know these opinions are out there and what people are thinking. Kate is not best served by having only "yes man" comments published. I was disturbed to hear that several long time followers are simply backing away. It's clear to me from speaking with friends in the States that many that were excited by the marriage, are starting to question Kate's commitment to her royal role and are losing interest. Tremendous positive momentum was achieved by the couple's wedding. It would be a shame to see this lost. I can imagine feelings are even stronger in Britain where taxes are paid to support the royal family. Thank you for your time, which you give so generously in putting together this wonderful blog. You have done a masterful job, and it is concern about the subject of the blog, not the author, that worries me and others. Keep up the fabulous work. Since I think many from the States (and other nations) aren't too familiar with some of the others royals, a posting on Royal Weddings might in the new blog be a great place to start. I'm certain you have lots of other wonderful ideas. I won't stop publishing respectful and constructive comments but do feel it's a conversation which will only cause friction. I promise you all, I would never delete your comments unless I felt I had too. Very well said, Linda. Thank you! I get worried when these conversations get tense because in the absence of this blog- there is no real outlet for Kate fans to respectfully voice concerns (that I have found). I agree the DailyMail is just too full of vitriol to read let alone comment. I do often wonder if Kate's staff read this blog. It would be a great pick-me-up if she ever needed it! I agree with Linda. I'm one of those people who doesn't belong anywhere. I don't hate her, so the anti Kate blogs don't like me, and I don't love her so the pro Kate blogs don't like me. I'm disappointed in her so far. I was one of those people so excited that "one of us" was marrying into the royal family, and ever so hopeful that she'd do us proud. In some ways she does. Her poise is unparalleled, it really is, and I really like her fashion sense for the most part. But there's snippets of vapid and shallow slipping out, and it's very disappointing. But I think we all do agree on one thing. You do a beautiful job with this blog. Anonymous above. I'm sorry to hear that you say that it's a shame Kate isn't what we all hoped her to be. What exactly did you hope for her to be then? Kate is everything I want her to be -- not perfect and normal. I guess that is a shame for wishing her to be normal. Bluhare. So what exactly was Kate's actions that the vapid and shallowness is coming out. You have been making rather insulting comments and sound more like you belong on the Daily Mail blogs than on this blog. Do you know the definitions of vapid and shallow or did someone else use those words you and copied them in the comments here. Lets remember that disrespectful words and tones are not necessarily found only from those voicing Kate criticisms. A lot of times this conversation escalates too quickly because (as evidenced above) those defending Kate can also be very harsh and demeaning in their responses. Yes I agree, both sides for and against can turn quite nasty on this blog which is a shame. Nobody seems to let others air their views nicely and don't like it when they don't agree on opinions. It's a shame. I like to c both sides of the coin, makes the debating more interesting. Sheila. York. Loved the London fireworks display!!! Anxiously awaiting your new blog - is it up yet? Thank you so much Z. I'm delighted you're enjoying it, I have so many ideas for the coming weeks to make it more interesting. What issue are you experiencing when you try to comment Z? I guess William opted to work New Years eve. Well done William must have been an intense night very scarey in the crazy wind. I live right next to the Calif. coast and I wouldn't want to be in a helicopter during a storm. I'm glad my son didn't tell me what he was doing (in the Air. Force) until after the facts. My other son said some of the things they do I'll never hear. That is fine with me. Hi Sarah- I am sure glad the Duchess did not know what William was doing at the time. That is stress she does not need. I just hope she is feeling better so she can go back to Wales and be with William. It has to be hard on both of them not being able to be together during this very happy time in their life. Where on the Calif. coast do you live if I amy ask. I live in Southern California. In between Santa Cruz and Carmel…have you ever driven along the Big Sur Coast? It is sooo beautiful and scarey with the cliffs from the highway 1# down into the ocean. Hi Sarah,Lovely area. Would that be watsonville (of artichoke and white house strawberry fame) ? It is a truly beautiful place to live particularily with an ocean view or within listening of the surf. It is nice to know where people are from. A few famous wedding in Big Sur in the last few years, Anne Hathaway and Natalie Portman. This discussion about William and Kate's work ethics has descended into what I worried it would. I have 48 comments today I could not publish because of the hateful content. Let's judge William and Kate on what they have done and not on what they haven't. This blog always has and always will be a place for William and Kate fans. As you all know I encourage constructive discussion but when people begin to feel alienated or uncomfortable posting it's time to put a stop to it. Thank you all for reading. I hope you understand, I want this to be a friendly place. Hello Ms. Charlotte- I totally agree that this subject need's to be put to rest. There are so many negative peole posting negative things about this beautiful couple. I am happy that you have elected not to post anymore of them. This is a great blog where all of us Duchess fans can come & share our thoughts with other fans. I have to say I have made alot of new friends from around the world from this great blog you have here. So again my the bottom of my heart I want to say thank you for this great outlit for us fans. No matter what goes on I will always be a faithfully follower of this blog. I'm so sorry you have had to read all of those hateful comments. :( don't give up on this wonderful blog you do such a lovely job. Unfortunately I let the conversation go to far. It's happened a couple of times before and it's a discussing that starts with debate, interesting opinions and descends into negativity and trolling. I agree with you Charlotte. The subject has been beaten into the ground and I for one is very tired of reding about it. So thankyou for moving on. What issue of People was it? Would love to read about the blog! Congrats. You are the best Ms. Charlotte. It has been great in terms of traffic. Well, if it is true that people at the Palace follow these blogs to get an idea of what people think of the Duchess, I would like to reassure them that Kate has not disappointed people who have *truly* admired and respected her. Kate is an educated, poised and beautiful young lady who is blessed to come from a loving and supportive family. She appears to have a very sweet demeanor and her love for William, and her ability to be a supportive royal spouse, is obvious for all to see. William is fortunate to have found her and, IMO, she is the royal firm's new jewel in the crown. I also admire her strength of character given the way she carried on despite years of unwarranted criticism of her family, her work ethic, and her relationship with William. Through it all, she was a class act and she went about her business with her head held high. And as a member of the royal family, the phrase "to the manner born" comes to mind. The star power that she and William have, and the "currency" it translates into for the monarchy is undeniable. And they are only just getting started. Indeed, lessons have been learned and, for now, I wish them well as William completes his military obligations, as he and Kate start a family of their own, and as they continue to support the Queen (and Charles who is next in line). Well said. I completely agree with everything you wrote. Hi, Royalfan! I agree with you! The Duchess has been doing a great job and not for a minute I felt disappointed. @Royalfan - I also agree with your wonderful post. Count me in too! I agree!!! I don't know if many people are aware but our wonderful Queen spent 2 years as a sort of 'military wife' in the early days of her marriage when Prince Philip was posted to Malta during his naval career. During this time, she tried to have something of a private life before taking up a lifetime of duty. Perhaps she is trying to give William and Kate some of the normality she cherished during that period before they become full time working Royals? Annie, UK. Charlotte, you are right; I am in the states and really never even think about other royals, but that is about to change - thanks to you! Now that I think back I did follow the Monaco royals when Princess Grace was alive and I remember her death with the same sadness I remember Diana's. Since I am not in the UK my opinion may not count to some, but Kate HAS been all I hoped for - and more. I like that she has maintained somewhat of a life of her own and yet has helped in countless ways. Yes, her "job" is high paying, but it can be a tough one and I think she has handled it with amazing grace. Very well said Royalfan and I agree completely.